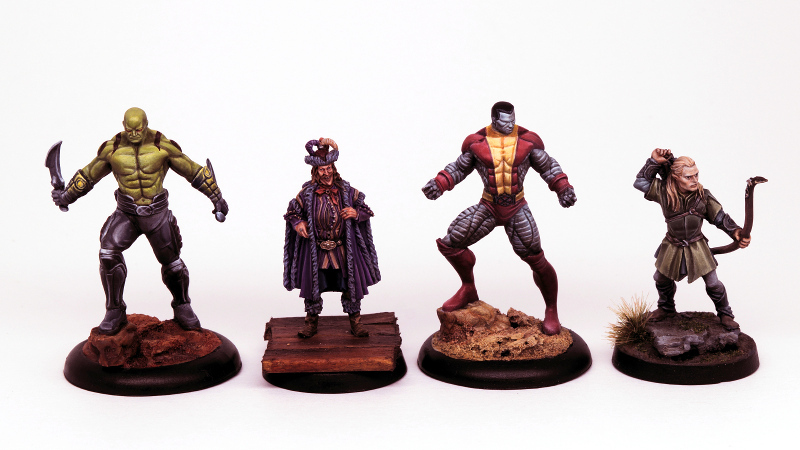 In this article I will describe my method for painting zombies. This is a quick and fairly easy method that can be also applied for many other types of model for a good looking gaming standard. The first step is the preshading and for this I use several colours through an airbrush over a black undercoat. If you do not have an airbrush you can use a couple of coloured primers. For the basecoat I applied two thin layers to get an even coverage that still showed the preshading underneath. Normal skin - Thrall flesh with a small amount of barbarian flesh and dark sand. The highlights were done by adding deck tan and dark sand to the basecolour and using the preshading as a guide as to placement. The remainder of the painting was done with the washes. These were applied neatly, small amounts at a time, with several layers of each colour being used. I started off using a colour close to the basecoat which for most of the model was the flesh shade. To add further definition I used, well pretty much all of the washes I had, slowly increasing the contrast with each layer. As a general rule I brought in complementary colours such as blues and greens and finished with strong tone in the darkest recesses.